Rummy is a game of skill that requires a sharp and quick mind. You need to know all the rummy cards in a deck and their usage. Also, you ought to be well versed with the basic rules of rummy game. And of course, you need a strategy to win the game. Considering you are fairly new to rummy games, you need not go for complex strategies. Stick to a simple one – aim for melds that have the best chance for completion. 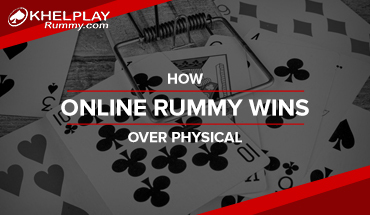 Here is a simple and foolproof strategy to help you win in online rummy. Rummy is played with 2 decks of cards and between 2 or 6 players. Join a table first and wait for the cards to be dealt to each player. You will be dealt 13 cards just like everybody else at the table. The objective is to arrange these 13 cards into groups with a mandatory pure life. As soon as you are dealt, you need to pick a card from the closed un-dealt cards or from the discarded pile and get rid of one card which is useless. The next player may pick the fresh card or can pick the card which was discarded by the previous player. The one who makes the first successful show will be the winner of the game. 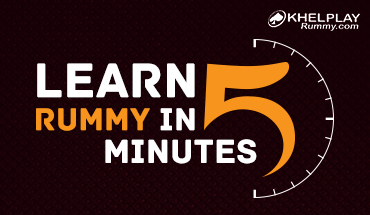 A player can opt for 1st drop or middle drop when his turn comes in any rummy game. . Always monitor the discard pile as it helps you keep track of whether the cards you’re hoping to pick up have been thrown away. Another critical strategy dilemma in this card game is whether to pick up builder cards from the discard pile. Builder cards are basically cards that lend themselves well to combinations. Because, if you take a card from the discard pile, you will tip off other players about what cards you have. So, instead of picking a builder card, pick up a card that multiplies your options. Like the 7 of hearts with the 7 of spades, 8 of spades, and 8 of hearts in your hand, is definitely a good idea because the 7 of hearts gives you some flexibility in two directions. Always try and avoid discarding exactly the same rank of card as your opponent early in the game. For example, if you hold the queen of diamonds, jack of clubs, and 10 of diamonds, you may be able to persuade your opponent to let his/her jacks go by tossing your jack of clubs at the first opportunity. This trick is a good strategy, so try it yourself, but be aware that your opponents may be on the ball, too. 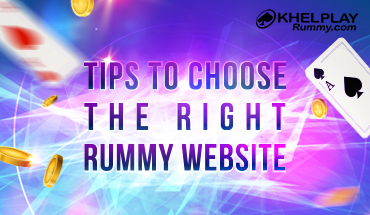 We hope the points above mentioned help you strengthen your rummy game and win lots. However, please do remember that this strategy needs to be applied every day for you to gain confidence with your moves and work towards winning with ease. I have been struggling to understand how to play rummy since a while now. And this blog post is extremely helpful. It has chalked down things, I need to work on to start playing the game, if not winning. I will initiate from getting myself thorough with rummy rules and then move on to other factors. Thanks for this wonderful post on a simple strategy to play online rummy. I have been looking up for such a post since a while now. All you get online are complex rummy strategies that don’t make much sense to amateurs like myself. So, thanks once again for this one. I love how the rummy game strategy is so simple to understand. Good job done here! I am sharing this on my social media pages, so maximum people can read it and learn from it. I just love how it has simplified a complex game like rummy. Playing rummy looks complex no more.